There's a lot of buzz that Avengers: Endgame might be the last chapter for superheroes like Captain America and Iron Man. The film's co-director Joe Russo says the focus is on bringing an end to Marvel's Infinity saga, and he hopes people are satisfied with how it all culminates. "I will say that it is a three-hour run time and so it has a lot of storytelling in it. And the focus is to bring an end to what we call the 'Infinity Saga'... It is a very fitting end." "My brother and I have said that we believe in stakes and we are presenting it to the global audiences. So, why not do it in a way which seems psychologically truthful... It costs things to win, and it can be painful... Being a hero can be painful and cost you things. Hopefully, you will be satisfied with the stakes," he said in a round-table conversation with select media in Mumbai on Monday. 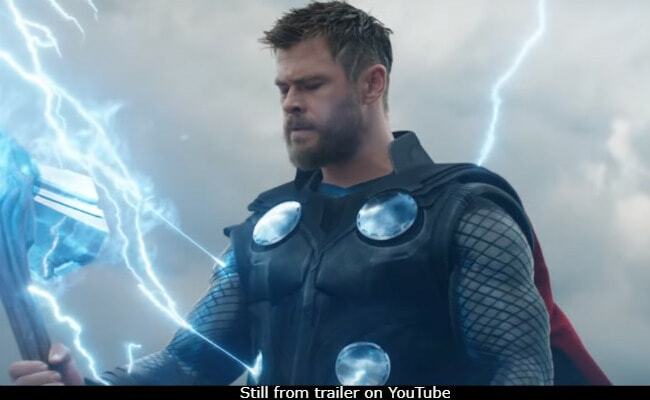 Marvel Studios' Avengers: Endgame, starring Robert Downey Jr., Chris Hemsworth, Chris Evans and Scarlett Johansson, will release in India on April 26 in English, Hindi, Tamil and Telugu. The film is a continuation of Avengers: Infinity War, which left Marvel fans in shock with the failure of the superheroes against the supervillain Thanos. Joe might be an expert in narrating tales of superheroes but he likes to do it with a touch of reality. "We do try to infuse global thematics. We work on those thematics all through till we release the film. We alter dialogues, we re-shoot. What's important about these movies are that they are about what's the cost of being a superhero. And in Infinity War, we see that sometimes villains win and we are experiencing that at the moment."